Eleni Kamma will be participating in the upcoming residency on ”Self-care Then and Now” in Varberg (Sweden), a residency programme organised by Art Inside Out. 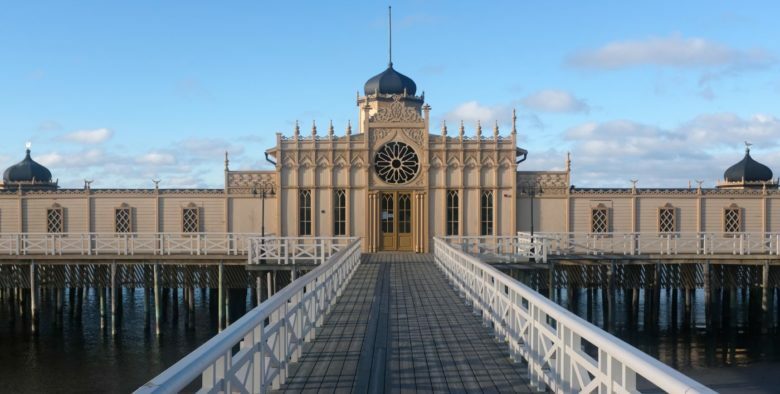 Art Inside Out is offering a residency on the theme “Self-care then and now” in the health resort of Varberg. The residency aims at an artistic activation of the heritage of the health resort, connected to various cultural sites, life stories, objects, and archive material, which also gives an opportunity for reflection about the ways history is written. How has the perception of self-care, health, and well-being evolved from the establishment of the health resort until today? What is the meaning of cultural, psychosocial and socio-economic perspectives for self-care? Art Inside Out is offering an eight-week residency for three artists during 2019, with the following schedule: April 29–May 12 (research), May 13–June 9 (production), August 26–September 8 (presentation). At the end of the residency, there will be public presentations of the artistic processes on-site in Varberg municipality as well as other places in Region Halland and Sweden. Various public meetings will occur during the entire residency period. More information on the Art Inside Out website.